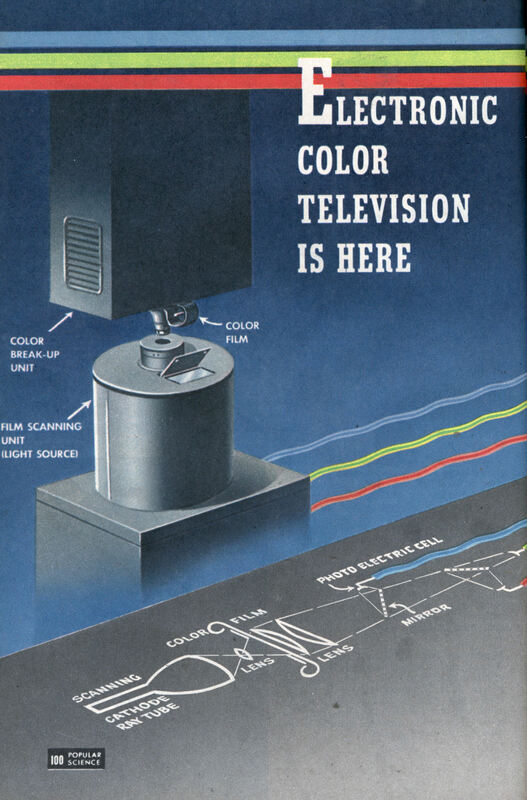 ALL-ELECTRONIC color television, which RCA engineers have achieved in a form that does not make black-and-white equipment obsolete, is a complete departure from the mechanical color transmissions of recent years. Mirrors and photoelectric cells replace moving parts. In a recent demonstration at Princeton, N. J., pictures were broadcast with a new color-slide camera. Its developers plan laboratory transmission of live-action studio scenes by mid-1947, outdoor action scenes late in 1947, theater-size pictures in 1948. The electronic system’s mirrors and tubes split a beam of light into red, blue, and green images. Three kinescopes in the receiver pick up the separate images simultaneouslyâ€”in contrast to mechanical systems in which a rotating filter transmits the three colors one at a timeâ€”and project a merged, flickerless picture. Color television requires much higher frequencies than black-and-white work because a wider band must be used. The operating standards, however, such as the scanning rate, number of lines, and rate of picture repetition (30 per second), are the same as in commercial television. So a frequency converter would suffice to equip any black-and-white receiver to handle color broadcasts in black and white. 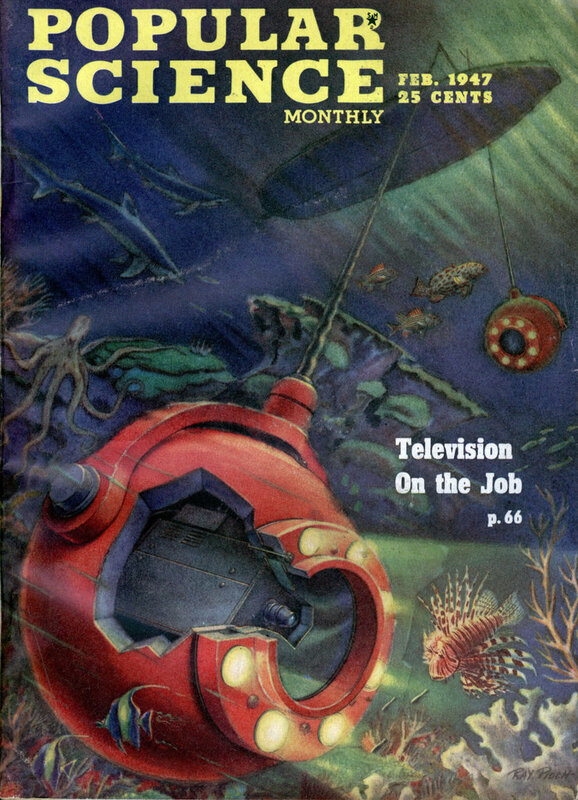 Thus the advent of commercial color televisionâ€” still some years away by RCA estimates â€”need not make present sets obsolete.